What makes a great pair of DJ headphones? We interviewed DJs Zebo, Mr. Automatic and Daniel Moose to find out. What makes a great pair of DJ headphones? Headphone manufacturers and casual listeners may tout hyped bass response, but ask a working DJ, and they’ll tell you that durability trumps sound. “All I need to hear in the club is the snare and the hi-hat, and what song it is. I don’t need full dynamic range; I just need to know what I’m listening to and be able to hear the beat,” says Mr. Automatic. Yet every DJ seems to have a story about a set of headphones that cracked or fell apart after too much gigging. So, what do the pros wear? Watch our video to see what three DJs — Zebo, Mr. Automatic, and Daniel Musisi — look for in DJ headphones. 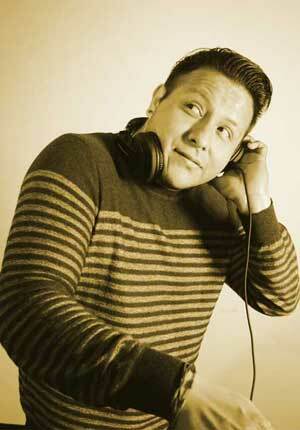 What makes DJ headphones different from studio recording headphones or casual-listening headphones? Click each attribute to learn more about it, and why it’s important to DJs. 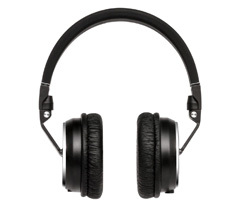 While open-back designs are popular for audiophile headphones or for critical listening in the studio, you don’t see many open-back headphones in the club. That’s because DJs need headphones with good isolation to be able to hear the track they’re cueing up next — over the din of the track that’s currently pounding through the club’s main speakers and subs. 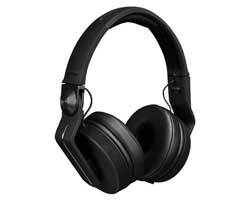 Closed-back headphones are known for delivering better isolation — sometimes referred to as “suction” for the vacuum-like way a pair of well-isolating headphones keep inside sounds in, and outside sounds out. Closed-back headphones generally have a less open, natural sound — but remember, when you’re DJing, you’re not doing detailed critical listening. While some headphones promise wider ranges (like 15 to 30,000 Hz), an extended frequency range really won’t make a huge difference to the DJ in a loud environment. For human ears, the audible frequency range is generally accepted as 20 Hertz to 20,000 Hertz. Below 20 Hz, sub-bass frequencies are not heard so much as felt, and above 20 kHz — really, above 15-16 kHz for most listeners — high frequencies are inaudible. It’s the bass and low-mids (60-500 Hz) and the midrange (up to 4 kHz or so) that are most essential for DJs to hear, and a pair of headphones that gives you 20 to 20k will likely serve you just as well as the cans that say they reach all the way down to 5 Hz. Some DJ headphones deliver a flat frequency response that’s intended to be accurate to the source you’re feeding them — a desirable characteristic in studio monitoring headphones. 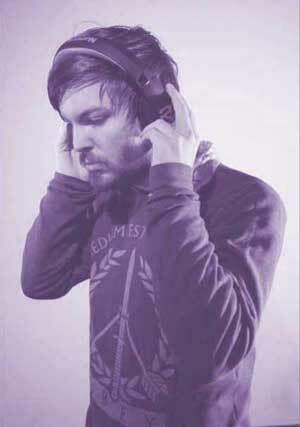 Other DJ headphones are tuned to emphasize the frequency ranges of elements that DJs rely on most for beatmatching — low-mid bass punch, snare drum, and hi-hat. Whether you prefer a flat response or a tailored response comes down to personal preference. If your DJ headphones isolate well enough, with well-padded earcups that seal around your ears, you’ll always be able to hear what you need to hear to beatmatch and pitch mix. To help you hear the kick drum clearly, you’ll want your DJ headphones to be able to dish out some fat lows without distorting when they get loud. Larger drivers deliver bass frequencies more efficiently, and with less distortion. That’s why DJ headphones generally use drivers starting around 38mm — and some as large as 55mm. Why not 60mm drivers? Well, a speaker that size would require a great deal of amplification to move — and would likely be too heavy to comfortably wear on your head. There’s an exception to this driver size guideline: in-ear monitors. While we wouldn’t recommend DJing with just any consumer earbuds, professional IEMs do provide plenty of low-end response. However, IEMs are designed to stay in your ears all the time and provide a great deal of acoustic isolation — which can make it very tough for you to feel the energy of the room, unless you put up an audience mic specifically to capture it. Over-ear headphones are easy to take on and off anytime you want, and that’s what makes them so good for DJs. If your headphones don’t have the cord coming down from a single ear, they’re not DJ cans. Many DJs prefer coiled cables over straight cables — since a curly, coiled cable won’t drag on the floor of the booth and trip you up — but straight cables are easier to wrap around your headphones when you’re packing up for a gig, so that’s a matter of personal preference. A comfortably padded headband and earcups are key with professional DJ headphones — you’ll be wearing these headphones for hours. And if you monitor with one ear on and one ear off, swiveling or rotating earcups are also a must-have. This one is a biggie: your DJ headphones need to survive being yanked on, stuffed in bags, and crushed under other gear. Even under normal use, you’ll be twisting your headphones around as you work — holding one earcup up with your shoulder while the other is pushed under your chin. The Achilles heel of headphones is the side joints or hinges that connects the earcups to the headband. Be sure that it’s strong — especially in headphones designed to fold and bend. A metal joint is generally more durable than a plastic joint. Your headphones may seem small and insignificant compared to the rest of your mobile DJ rig, but the last thing you need is a bulky pair of headphones that’s tough to cram into your bag when the gig is over. Even if you’re spinning on gear that’s permanently installed at a venue, your headphones need to travel with you. Pioneer HDJ-2000mk2 DJ headphones fold down into an impressively small package. Lack of foldability isn’t a dealbreaker for some DJs. If your ‘phones don’t have a folding design, you’re smart to use a stiff-sided case to protect them — because headphones that don’t bend are more likely to break. 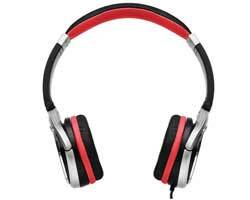 While studio headphones are usually out of sight of an audience, DJ headphones are constantly in the spotlight. You may prefer a stealthy matte black finish or a blinged-out gold — but whatever your style is, pick a pair that you can stand the sight of. 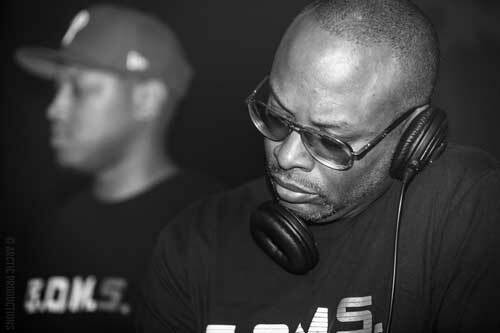 DJ Jazzy Jeff monitors with one ear. Photo credit: Jason Parrish. Our picks for headphones for every budget and experience level. 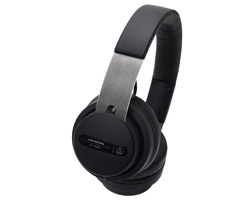 When it comes to super-affordable DJ headphones, Numark HF150 DJ headphones are designed to be easy to carry around — they have smaller on-ear rotating earcups that fold into the headband for transport, yet they’re still packing 40mm drivers and comfortable padding, so if price and a foldable/collapsible design are your top priorities, consider these cans. Need a lightweight option for long sets? 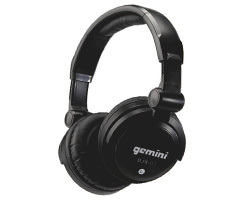 Gemini DJX-07 headphones will stay comfortable throughout your set and also feature a foldable design so you can stow them away in the included bag after the show. Plus, their 50mm drivers put out booming low-end down to a thumping 16 Hz! Audio-Technica ATH-M30X headphones may appear more like studio cans than DJ headphones, but for well under $100, they fit the bill for what a DJ needs: superior isolation, comfort, and folding/swiveling over-ear earcups. A more affordable sibling of the ATH-M50X — the perennially popular closed-back studio headphones model — the M30X headphones deliver Audio-Technica quality for a price that’s hard to argue with for the entry-level DJ. 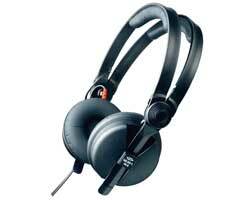 Trust Shure to make a pair of DJ headphones that are truly built tough. 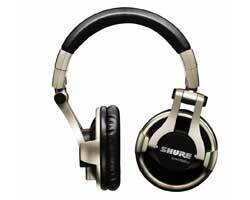 Shure SRH750 professional DJ headphones are tuned to deliver extended bass and highs, yet they’re not as bass-focused as some cans, so if booming bass is your thing, look elsewhere. Large circumaural earcups with dense pads provide serious isolation when you’re monitoring with both ears, and swiveling, rotating yokes let you go one-eared easily. Note: Shure says these cans are “high impedance,” but with an impedance of 32 ohms, you won’t need a high-output source to drive these headphones. Pioneer CDJ decks and DDJ controllers are industry-standard DJ gear, so it stands to reason that Pioneer makes solid DJ cans, too. Their mid-priced offering is the Pioneer HDJ-700K model, with a rotating earpiece for single-ear monitoring, replaceable cables, and a few different color accent options to choose from. 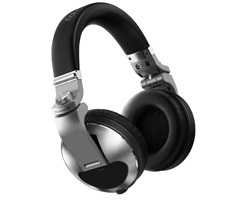 For a pair that really stands out, we recommend Stanton DJ Pro 4000 headphones. Their over-ear design allows for great sonic isolation, and with the cool blue ring lights on each earcup, you’ll step up your DJ game and your look when you put these on! Understatement probably best describes Audio-Technica ATH-PRO7 headphones, but their low-profile look belies the incredible sound their 45mm drivers put out. Choose these headphones if you want premium design and distortion-free, clear audio monitoring even at high volume levels. 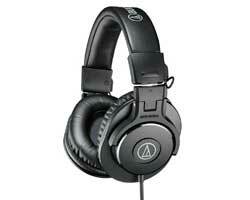 Looking for a pair of DJ headphones that won’t weigh you down? Sennheiser’s HD25 on-ear headphones are super-lightweight and comfortable. Although they have smaller on-ear cups as opposed to the larger over-ear cups you might expect to see on a pair of DJ cans, Senn HD25s are a favorite of DJs due to their crisp sound quality, the “elbow” on one earcup that lets it rotate, and their high SPL handling (these cans get LOUD without distorting!) And should your earcups, drivers, headband, or cable wear out after years of use, you can get replacement parts from Sennheiser. Pioneer’s HDJ-2000s were a zZounds customer favorite and bestseller, and the Pioneer HDJ-X10 headphones follow in the same pattern with upgrades that add to the cans’ durability. These headphones are built for the pro DJ, which means they’re built to take abuse. The earcups rotate every which way, the headband is designed to be stretched and smashed, and the whole thing collapses into an impressively small package for storage — then pops back into place. DJ mixing requires beatmatching: getting two tracks playing in perfect synchronization. Once you’ve beatmatched two tracks, you can mix between them seamlessly — keeping the music going, the energy high and the crowd moving. And beatmatching is why a DJ wears headphones: to cue up their next track and hear how it sounds against the currently playing track, before bringing the new track into the main mix. Over the past 10 years, the popularity of digital DJ software like Serato and Virtual DJ has ushered in the era of “waveriding” — the practice of beatmatching by sight instead of sound, by lining up the overlaid or parallel waveform displays on your laptop screen or DJ controller’s display. While learning to beatmatch by ear is a worthwhile skill, it’s also a legitimate DJ technique to beatmatch Track A and Track B by looking at their waveform displays, then nudging/jogging Track B forward or backward to get it to visually sync up with the concurrently playing Track A — before bringing Track B up in the mix. The real disadvantage of “waveriding” with no headphones is that you don’t get to hear how your mix is going to sound before the audience hears it! Sure, your digital DJ software shows you the key and BPM of your tracks, as well as volume information and even frequency information via colored waveforms — but your software simply cannot show you if two tracks are going to sound good together. Only your ears can tell you that. One major advantage of digital DJing is the ability to play tracks you’ve just added to your library minutes ago. But if you’re DJing by “waveriding” alone, without the benefit of auditioning a mix in headphones, you’re limited to making safe choices from music you already know intimately. Let’s say you’re DJing an exclusive party, and the VIP guest of honor hands you a thumb drive with a brand-new track that you’re not that familiar with. Without your headphones on to hear that cue mix, how do you know if your mix is going to work, or crash and burn? It’s OK to practice and plan your DJ set to the point where you know every track you’re going to play, complete with BPMs and keys and cue points set. It’s smart to be prepared. But it’s also smart to allow for spontaneity and be able to “read” the crowd so you can mix in the right track at the right time — or do that VIP guest a solid by playing the track they requested. Go ahead and leave your headphones off for transitions you’ve planned and practiced ahead of time. But if you’re mixing two tracks you’ve never mixed together before, use your ears (and your headphones) to get the mix you’re going for before it goes out to the crowd.